Which #Golf Clubs Can I Use as a Putter? If you watched the Tour Championship this past week, did you happen to notice Matt Kuchar, during the second round, using a hybrid golf club to make a putt? Pros will often utilize golf clubs other than the standard putter when making shots just off of the green. For a beginner golfer (or any amateur that has not learned how to use clubs other than the putter just off of the green), I suggest sticking with the flat stick as it offers four degrees of loft and is the safest option (as Ryan Moore probably remanded himself over and over again after his loss). “Putting is like wisdom – partly a natural gift and partly the accumulation of experience, "
That being said, Golf for Beginners takes a look at a few different clubs which should be learned by amateurs to increase the number of shots in your bag. 1. Hybrid Golf Clubs: PGA Instructor Blake Cathey says, "If you miss the green and your ball ends up in a closely mowed area don't forget about the hybrid putt. Approach the shot just as you would a putt. Use your putting grip, stance, pre-shot routine and stroke. 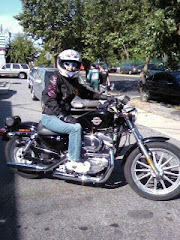 You will find that with a little practice you will start getting up and down." 2. Three-Wood: Dave Marsh from iGolfTV.com shows us in the YouTube video below that the fifteen degrees of loft in a three-wood allows the player to use the top-spin to pop the ball over an obstruction (like gnarly grass) and get safely on the green. 3. The Chiputt: In a previous Golf for Beginners article entitled, "To Chip or To Putt? A Golf Dilemma Answered," Master Instructor Dave Pelz's suggested method for very long putts is called the "Chiputt"; basically, chipping with your putter. Click the link above to learn more about his method of saving strokes. Practice these techniques several times before a round (you don't want to attempt these shots without knowing how to perform them) so, the next time you are near the green, you will be able to better plan your method of attack, get the ball close to the hole or in! Which golf clubs do you favor around the green? 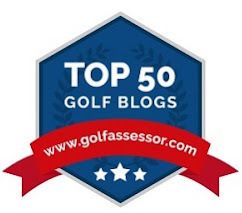 Follow @Golf4Beginners on Twitter and the comments section of this golf blog to share your thoughts. "The Ryder Cup is played in even-numbered years between twelve-member teams from the United States and Europe. It consists of five match-play sessions played over three days." Which Ryder Cup Team are You Rooting For? While there’s currently a great deal of debate surrounding who will take this year’s trophy, the tournament stands as the quintessential showcase of American and European golfing talent, where twenty-four of the most gifted players go head-to-head for one of the most prestigious chalices in the sport. The jury is still out as to who will round out the final spots for each team; Tiger Woods and Bubba Watson are still candidates as captain's picks for Team USA while Team Europe has finalized their choices with Westwood, Kaymer and Pieters. The last golf tournament was held at Gleneagles in Scotland in 2014, where the weather was infamously rather glum, however, this wasn’t the first time the British weather has rained on the Ryder Cup parade. In 2010, the tournament was suspended for the first time in its history, due to poor weather conditions at the Celtic Manor resort in Newport, Wales. Do you think players prefer the windy, damp conditions of European golf or sunny, more inviting US weather? Slower, wet greens vs lightning fast greens, playing the wind vs very hot, humid conditions? Aside from the notorious weather, other stereotypes tend to find their way into the competition. Whether it's the critters on the course (alligators or squirrels), the golf attire or the grub that the players tuck into, suffice it to say that our customs and environments vividly differ. For a full roundup of USA vs Europe comparisons, including golf attire, surroundings, and clubhouses, you can visit this fun infographic from Online Golf. Feel free to write your thoughts below in the comments section of our golf blog and follow us on Twitter @Golf4Beginners. 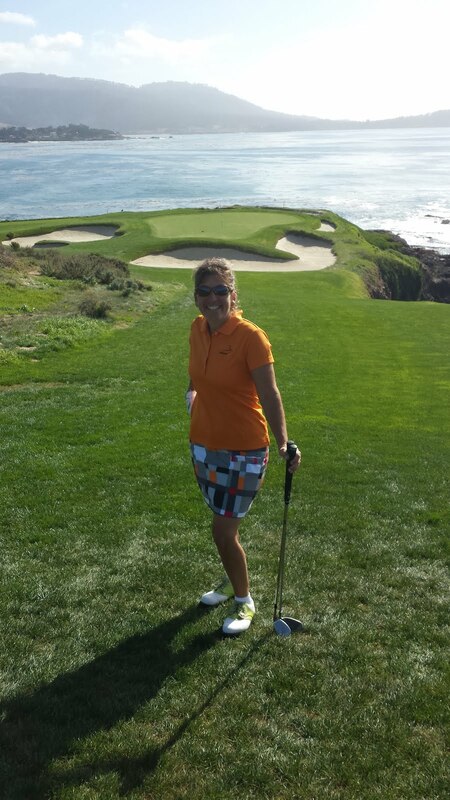 Lauren Barker is a content specialist for Online Golf, the largest internet-only golf retailer in Europe. Which is your favorite golf commercial? Not always is an ad a television spot; nowadays, golf advertising agencies are specializing in utilizing social channels and even The Olympics in order to make you laugh, cry and buy with an eye on going viral. Are you a Taylor-Made fan...perhaps you are a Ping player like me? Whichever set of irons or woods you eventually select for your golf bag, your final choice to give one set of clubs the nod over another could very well have been a subliminal one. Golf club placement within an ad has played a partnering role with Tour "YouTube celebrities" like the funny ads featuring Bubba Watson, Hunter Mahan and Lee Westwood. Golf brands have also slipped into poignant supporting roles like this spot from LA Ad Agency Zambezi which features the average golfer practicing indoors with their Taylor Made clubs while waiting the arrival of spring (shot at Hazeltine-home of the 2016 Ryder Cup). Let's also not forget to mention one of the most viral videos in sports which reached beyond the sport of golf to tug on the heartstrings of the public; Dad, Earl, is "talking" to Tiger Woods about what he has learned in life. Did you hang on every word? Bet you can also name which brand pulled off that creative moment? Nike was one of the first companies to make the decision to move away from traditional brand advertising and towards social marketing, pairing with the number one golfer of his day...and with tremendous results. So, now that Woods is vying with other young celebrity golfers for a place in social cyberspace, what is the next step for golf? Are Golf Ads Going Completely Social? With a wealth of brands, faces and places, golf has the potential to reach a very large online audience through modern formats in order to go viral. As long as golf tournaments remain televised, so will there be a need to keep brands in front of viewers...but going after golfers means adding a social media strategy whether it be via shorter ads to keep viewer attention or shorter tweets and pins to get conversation rolling like a putt on a smooth green. How many brands today have their own successful YouTube Channel? Ad Age points out that a new generation of "social" TV commercials are "really, really short shows" as opposed to what used to be considered "typical" spots. If one ad becomes a fan favorite, expect several "feature" follow-ups so you can get to know the characters even better...as well as the brand. Heck, you may even want to get out onto a golf course and learn how to play the game! Callaway still utilizes conventional TV ads but is actively extending their reach to Twitter where they can make sure that there is continuous chat about their brand; their YouTube Channel sports thirty-thousand dedicated subscribers; Nike has over five hundred thousand with their latest video from one month ago scoring more than 36 million views. "Social" selling is here to stay. When The King speaks, golfers listen and, when golf was heralded as a new entrant into the Olympic Games, the sport obtained access to an entirely new group of spectators who love athletics. Arnold Palmer trumpeted The Olympics to a global audience as "compelling performances from high-profile veterans as well as previously unheralded young players who have taken up the game in developing countries." Although Olympic golf made its debut on basic cable to a wide audience and was active on social channels and blogs, thanks to top players pulling out due to the Zika Virus, social virality did take effect but, unfortunately, not in a positive way. Also, the "boring" format didn't help provide the sense of national pride and team spirit which is the foundation of The Games. Will golf stay in the Olympics? We can only hope so for the sake of the sport. The 2010 Olympics in Vancouver was the first ever to be covered online. It broke all records when it broke into a cyber world and onto mobile devices, attracting approximately 1.8 billion viewers worldwide. "A lot of people say that we're in the golf business, Yes, we're in the golf business but I say we're also in the content business and we're in the entertainment business." said European Tour CEO Keith Pelley during a meeting on the state of the game in 2016. "If we're in the entertainment business, then our players are stars." Perhaps turning tour players into celebrity faces that are reachable will break that barrier that keeps golf segregated from the mainstream? Twitter helps connect the masses with the stars of the game. The sport should be open to changing it's traditional ways to bring in a new generation. "Golf needs to be more welcoming; it needs to take itself less seriously," states Paul Hawkins, Founder of Hawk Eye Innovations. And so, the European Tour has recently approved a new golf tournament set for 2017, the World Super 6 Perth, with an eye on changing the way people view golf and because, as CEO of Euro Tour Keith Pelley states, "we believe that golf needs to look at new and innovative formats." Along with this new focus, I am sure the powers that be will also concentrate on how best to reach out to a new generation of millennials. A shift in focus from branding to a more inviting social nature of golf can help invigorate the game and open it up to a wider audience. What are your thoughts? Follow and tweet us @Golf4Beginners on Twitter and feel free to comment below in this golf blog. In the game of golf and online sports betting in general, there is almost always a wager that warrants conversation. The latest golf events and odds that have caught our attention refer to whether or not Tiger Woods will be playing with Team USA in the 2016 Ryder Cup ...yes, you can bet there are odds on this! The internet is a buzz with odds on winning the Ryder Cup, FedEx Cup and more and why not? Gambling on golf has been inherent in the game since it's beginnings. Whether you're betting a fun two dollar Nassau with your mates or selecting Fantasy picks for the Italian Open, golf is one of the sports in which gambling is accepted, welcomed and woven deep into the fabric of the sport. In a recent article from BusinessDailyAfrica.com, "Golf and gambling go hand in hand under strict rules of the game." Even "the USGA does not object to informal gambling or wagering among individual golfers or teams of golfers when the players in general know each other, participation in the wagering is optional and is limited to the players." 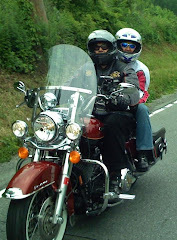 True, there are some inherent do's and don'ts <...Phil Mickelson> but it is everywhere online and has not been condemned (five million Google results online for golf gambling online) so, if you plan to make a wager, bet with your head, not over it. That being said, let's take a look at the Ryder Cup odds as they currently stand. Golf Digest has Tiger Woods as a long shot to be added to Team USA roster by Davis Love III, but he is still in the running. I believe that Jim Furyk would also be a great pick for the team. As outright winners, which team will win The Ryder Cup? As far as deciphering these odds, I only partake in on-course wagers so I am unfamiliar with these odds; please feel free to comment below in this golf blog to help explain! It is rumored that the PGA Tour is considering permitting sports gambling on golf tournaments. Do you think this is a good idea? Tweet and tag us on Twitter @Golf4Beginners and comment below on our Golf for Beginners blog. This golf blog does not promote or encourage gambling or betting to any individual under the age of 21 years. Please be thoughtful if gambling on any event and we urge you not to play over your limit. Did you know that the USGA Rules of Golf state, "Each player should put an identification mark on his/her ball"? Although there is no limit on the amount or type of marking, it should be unique to you. So, how do you mark your golf ball? Does your mark have a psychological meaning behind it such as with Jordan Spieth who places a "Z" on the blank side of the ball to remind him to "zero in" on his target? Or, do you have a more artistic flair and draw a smiley face like me to remind you that golf is just a game and it is a beautiful day so have fun! Marking your golf ball should probably have some sort of intent attached to it. Whether it is solely for recognition or brings your mind into focus, just like every shot should have a purpose, so should every marking on a ball offer your mind an objective. 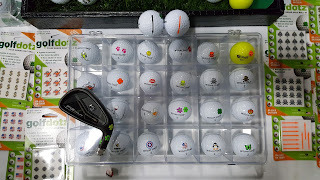 That being said, while walking the aisles at the Myrtle Beach World Amateur Golf Tournament's 19th hole, I came across companies that are offering players more choices when it comes to creating a unique look for that tiny orb which we hopefully will smack down the middle of the fairway. GolfDotz is a type of transfer that bonds with the skin of the ball when pressure is applied. 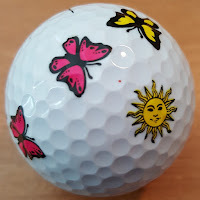 According to the company, these "stickers" do not affect the flight or roll of the ball, have a long, sticky life (probably longer than your ball will stay with you) and have the USGA seal of approval. 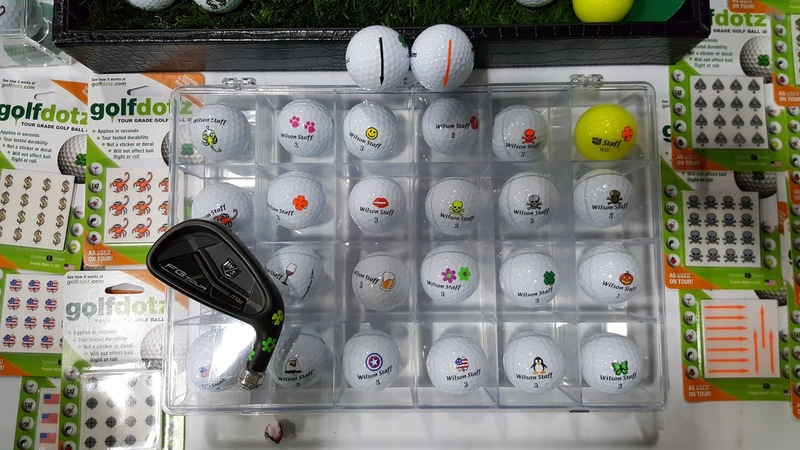 If you are really creative, try adding a few dotz to your golf club too (as seen in the photo above). The average package costs approximately $5.99 and comes with twenty-four dotz on two sheets. 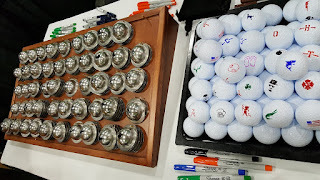 Tin Cup Ball Markers are just what the name implies; these small, semi-circular, metal ball markers cradle your ball so that you can get a straight line (with your initial) or create custom designs and colors using a Sharpie; you are limited only by your imagination. Tin Cup gives companies and tournaments free reign with their ability to engrave any design from logo to special sayings like "Low Gross Winner". Average price for a single Tin Cup is $19.95. We once asked on Golf for Beginners, "Where Do You Place Your Golf Marker" when not in use. We now ask what special markings do you place on your golf ball to differentiate it from your playing partners? Tag us on Twitter @Golf4Beginners with photos and feel free to comment below on our golf blog. 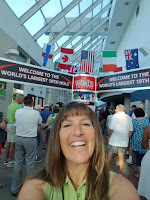 It is the "granddaddy" of amateur tournaments and, each year, well over three thousand golfers turn out to play in the Myrtle Beach World Amateur wondering how their games compare to players from around the globe. Anyone with a handicap can play in the World Am and many people return year after year to this tournament with a focus on fun. After speaking with several players, I learned that people come to this top South Carolina beach destination to play 72 holes of intense stroke play on amazing Myrtle Beach golf courses for the bonds that are formed and the ability to test oneself against others with similar handicaps. One player and his wife in particular whom we met at the 19th hole told me that his wife first saw the event online, purchased entrance for him as a birthday present and are now here for their third annual tournament. He is a ten handicap and was very interested in sharing how he did during his rounds and how happy he was to be matched so evenly with his foursome. When I asked his wife if she played golf, she said yes and then we got into a conversation about how to get more power out of her driver. In other words, the talk of the evening was all about golf, how to improve and about how to score low on some of the most pristine courses along the Grand Strand. Top instructors were on hand to happily offer advice. Randy Joyner, who coaches players on both the Web.com and PGA Tour, took the stage and gave indispensable tips on ways to break 90, chipping and the full swing...I took notes during his lesson. 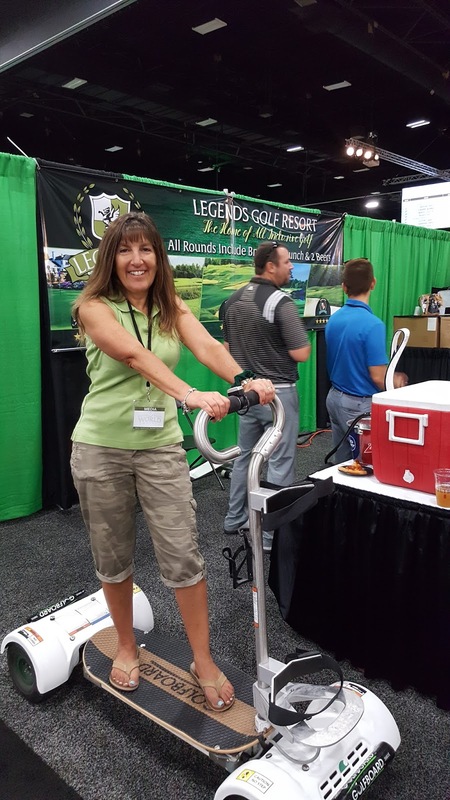 I will be playing golf at Legends Golf Resort in a few weeks while trying out and reviewing their latest acquisition - the Golfboard (watch for my video and review). Other companies showing off their wares at the 19th hole included gadgets such as Birdieball which is said to mimic the feel and flight path of a real golf ball but travel no more than forty yards, new ways to mark your ball from Golfdotz and Tin Cup and even nutritional energy bars...delicious snacks to help keep your hunger at bay on the course. PGA Tour Superstore had a large display of clothing to make sure attendees were dressed super-slick for the tournament. 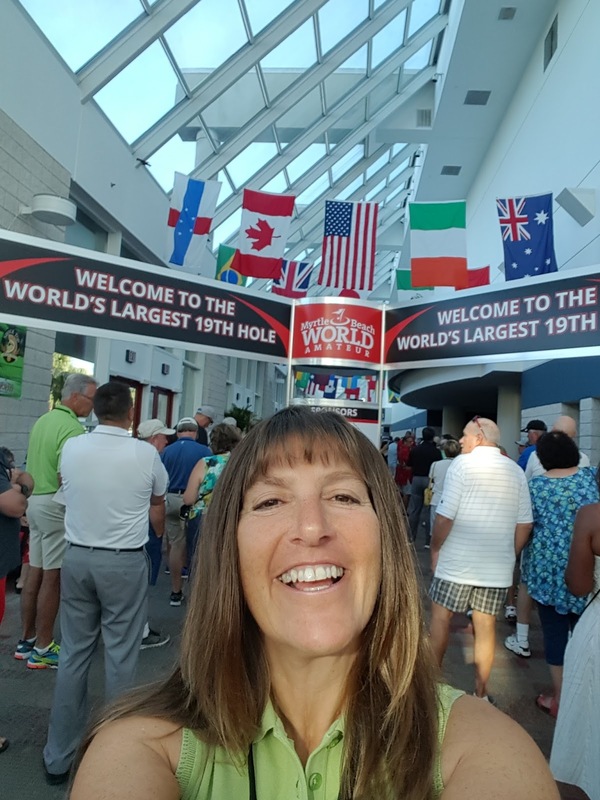 Golf is the name of the game but the camaraderie, fun and sportsmanship found at the Myrtle Beach World Am is what keeps players coming back each year. 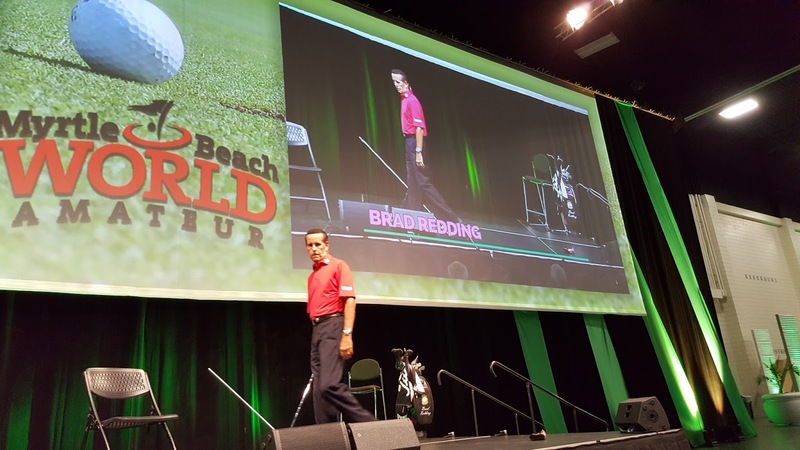 Did you attend this year's Myrtle Beach World Am? If not, do you plan to play golf in South Carolina sometime in the future? Send us a note either below in the comments section of this golf blog or on Twitter @Golf4Beginners.